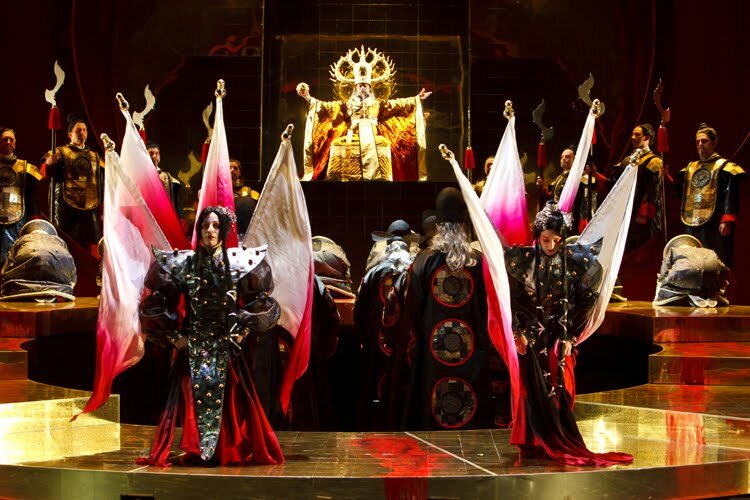 The Barbe/Doucet production of Turandot, pictured here at Pittsburgh Opera, which will open Seattle Opera's next season. Seattle Opera is holding auditions for our upcoming production of Puccini’s Turandot, directed and choreographed by Renaud Doucet. The production opens the 2012/13 season on August 4, 2012, and runs through August 18, 2012. All positions are paid, and daytime availability for rehearsals is required. The show begins rehearsing on July 6, 2012. Auditions will be Monday, February 27, 2012. For more information and to sign up, please phone Paula Podemski, Seattle Opera's Production Supervisor, at (206) 676-5812.